Vancouver, BC: January 28, 2019 – Uniserve Communications Corporation (“Uniserve”) a provider of IT solutions and services to business and residential customers in Canada wishes to announce second quarter fiscal 2019 financial results. Q2 and Q2 year to date fiscal 2019 revenues increased by 51% and 48% respectively as compared to the same periods in the prior fiscal year. 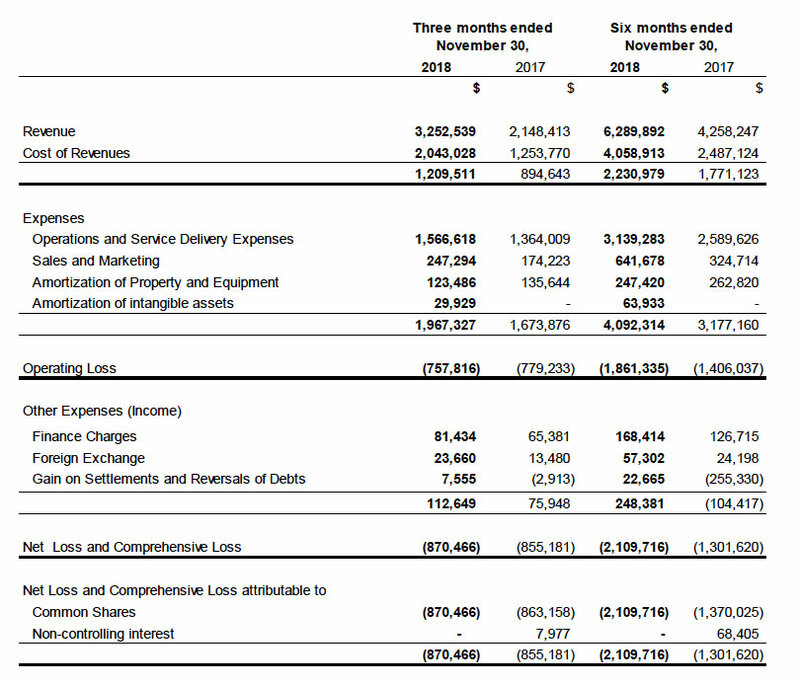 Q2 fiscal 2019 Net loss was $870K and Q2 year to date fiscal 2019 Net loss was $2,109K, as compared to Net loss of $855K and Net loss of $1,301K respectively for the prior year fiscal periods. Certain ongoing cost cutting measures implemented at the end of Q2 2019 are expected to result in further savings in the upcoming quarters.